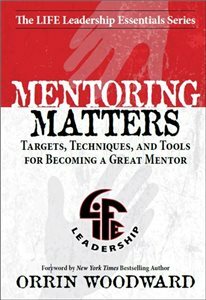 Here is an awesome book, masterfully written by Orrin Woodward, on the subject of Mentoring. I recommend this book to everyone! I haven’t found any book out there like it. Loved it. Have you ever considered the immense and valuable benefits of mentor-ship? Are you sharing your expertise with others and helping to guide them toward success? Maybe you just want to learn how to find a great mentor and make sure you get the most out of the relationship. Either way, Mentoring Matters has the answers you need. They have to be learned. But learning them doesn’t have to be hard. Educate yourself on all of the key targets, techniques, and tools for becoming a great mentor with this easy-to-apply manual. Your leadership success will be forever increased!